We have hit the ground running again after our wonderful trip to Barnwell, SC for the Corvair College. The spars are coming long great and will start shipping out to builders next week. 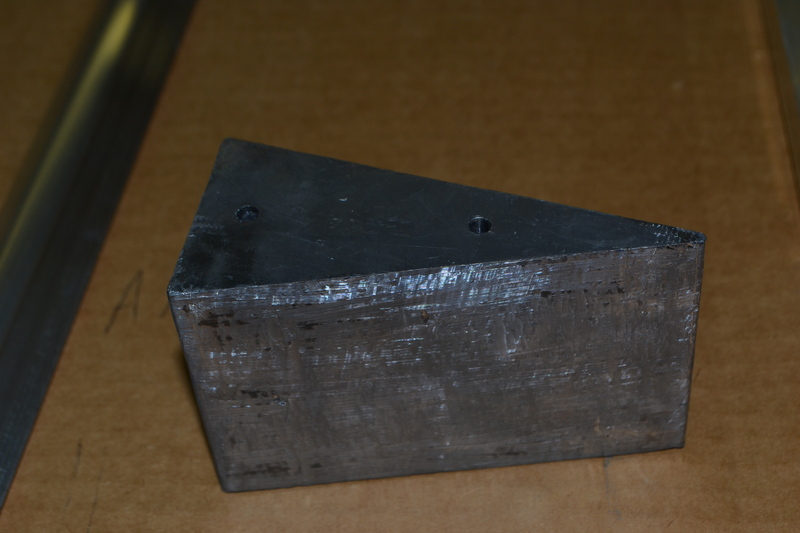 The wing pins/bolt holes get reamed on a mill and bushed with a steel bushing. The steel bushing adds the needed durability to the wing pin hole for those that will fold their Panther wings on a regular basis. These can also be changed at a later date if needed after continuous wear. 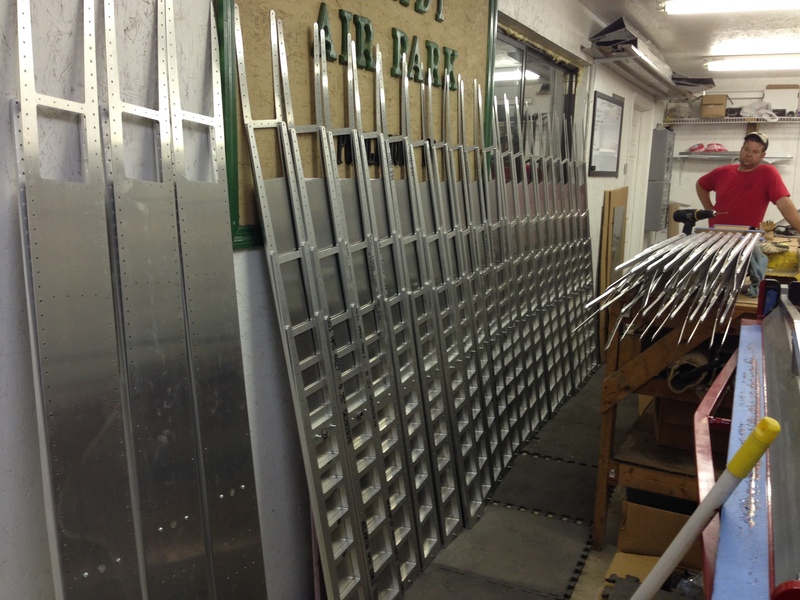 Panther wing spar plates all lined up for inspection. 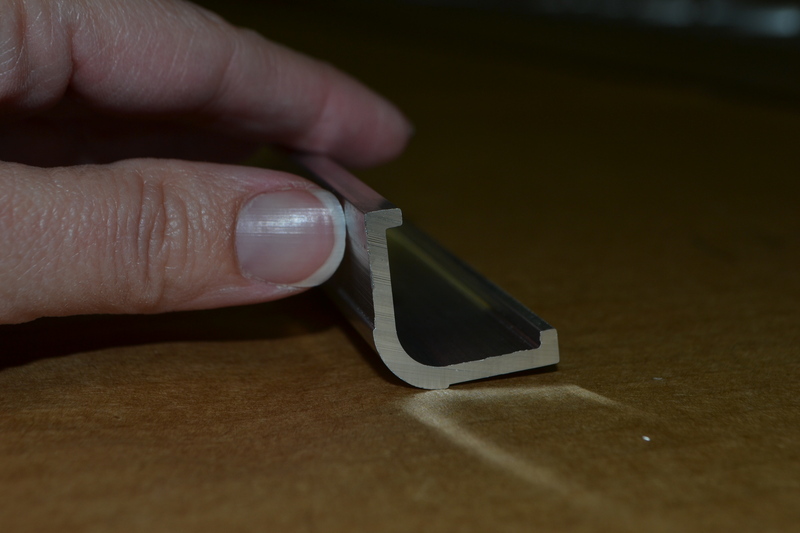 The longerons are a custom extrusion made here in the USA from 6061 T6. We are very pleased at how they turned out. Good work, for a decent price, from a great company in our country – need we say more? 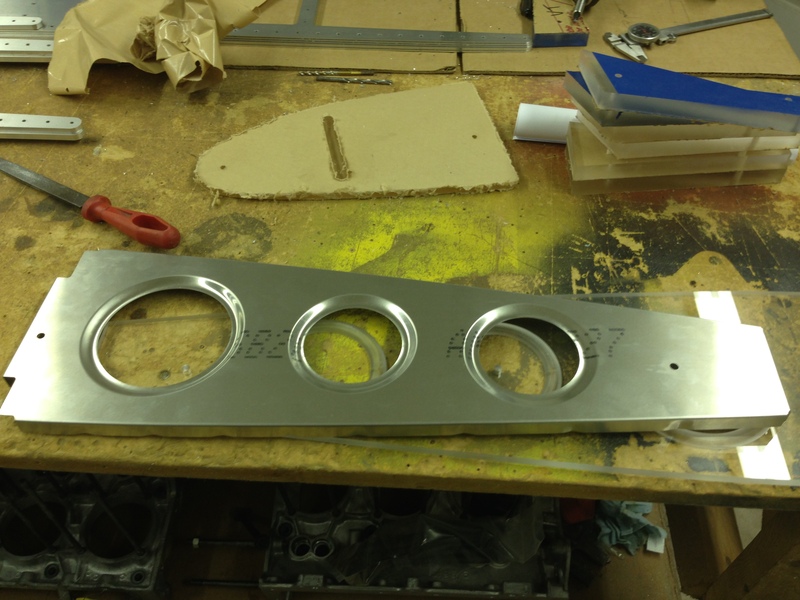 The lead counter balance weights are CNC machined for the ailerons and turned out great. Again – made in the USA! They have really turned out nice and stiff, with a great shape. Builders can simply debur and cleco to the spars. Draw a center line, then line up the pilot holes in the skins and drill. Beta builder Bob Woolley is patiently waiting for his fuselage and tail cone since he has his tail and sport version wings all built and ready to bolt in. Notice in the photo of Bob’s Panther sport wing above – the standard aileron is moved in and the shortened flap gives the aileron 60% coverage along the trailing edge length of the wing. Combine this with the wing itself being shortened one rib bay (one foot) the roll rate of the Panther Sport should be exciting! Dan is drooling and shortly after the complete Panther kits are steadily rolling out the door he will be testing a longer aileron on the LSA version. It looks like you have developed a good infrastructure for the manufacture of specific parts in what would be considered a low volume run. That of course translates to an ongoing supply chain. I think that is at least as innovative as the design itself and shows what can happen when people are free to undertake the task. USA sourcing is also a big plus. I think that the longeron you have shown is the lower longeron (right and left) and it has a ~25 thou. indent for the skin (bottom and sides). 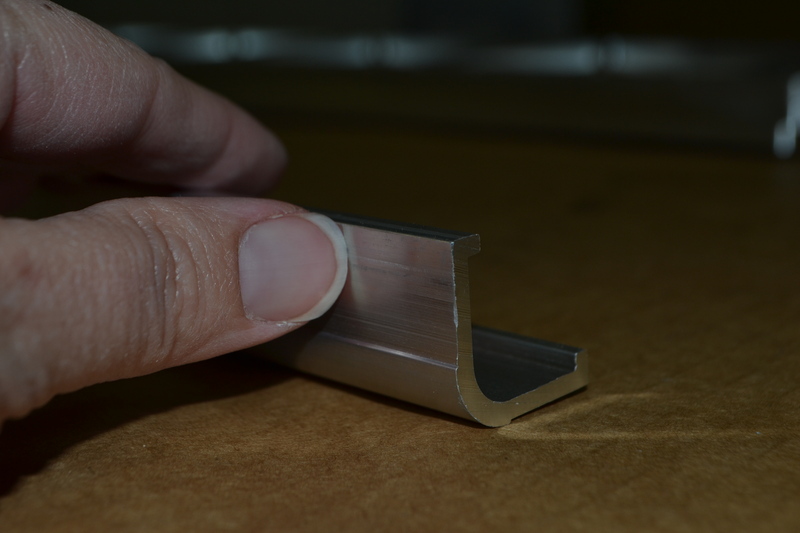 If it’s as I guessed this is a very nice feature that will make for a more refined finish (rounded bottom corners). I don’t remember noting this at Oshkosh. Agreed: Very Nice ! Yes!! You have an eye for detail. It was not on the prototype. 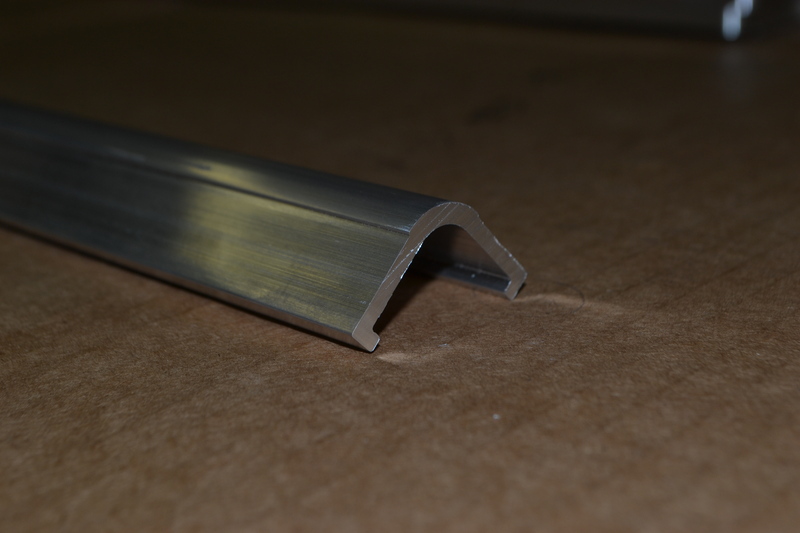 We had accustom extrusion done for the Panther lower Longerons. These come standard in the kit.